This entry was posted on October 3, 2015 at 9:27 AM and is filed under the bad. You can follow any responses to this entry through the RSS 2.0 feed. You can leave a response, or trackback from your own site. Wish they’d do a period piece here.. with all of the Cold War stuff on TV on both sides of the Atlantic they could certainly attempt this. That’s an interesting idea, though they would probably only entertain something that different once we’re beyond the Craig era. After the superb Skyfall, this will be a must watch. Hollywood is really batting out the 2015 trailers right now. Terminator, Jurassic Park, Star Wars, Avengers. I really disliked Skyfall — the whole notion of giving Bond a “history” seems inconsistent with the Bond ethos; and it got just so sentimental by the end. 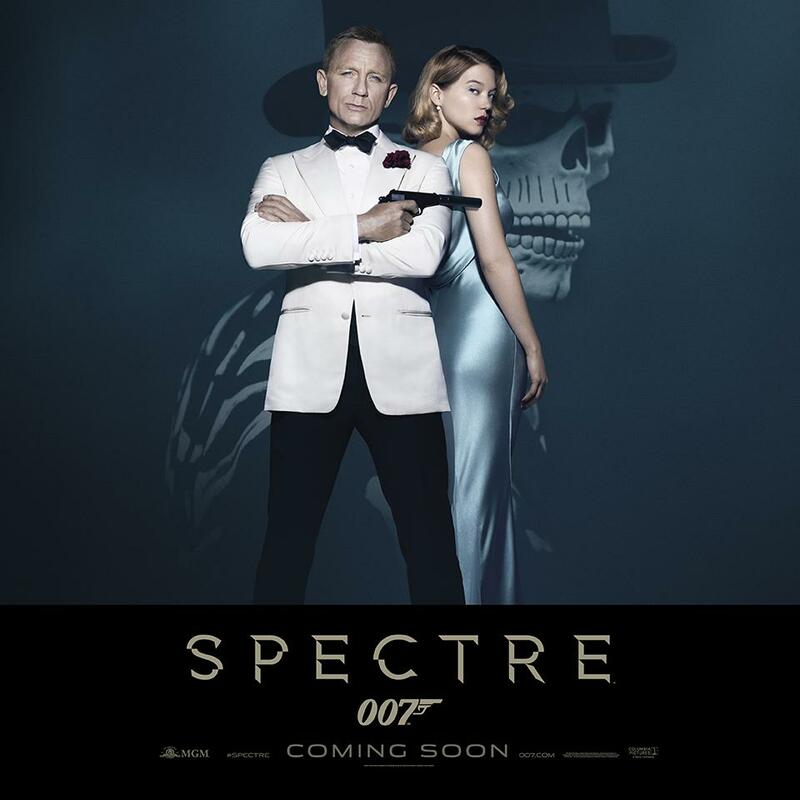 Hope Spectre is better. And, now we know. Director Sam Mendes has revealed the title for Bond 24 which will be Spectre. Mendes made the announcement this morning from the 007 stage at Pinewood Studios where the film will shoot along with London, Rome, Mexico City, Tangier, Erfoud and the Austrian Alps. The newest cast members are confirmed asChristoph Waltz, Andrew Scott, Dave Bautista, Monica Bellucci and Léa Seydoux. Daniel Craig will of course return as Bond along with Rory Kinnear as Tanner, Ben Whishaw as Q, Naomie Harris as Miss Moneypenny and Ralph Fiennes as the new M. Oscar winner Waltz will play Oberhauser, while Blue Is The Warmest Color‘s Seydoux is Madeleine Swann and Bellucci is Lucia Sciarra. (Bellucci is a nice get for the Bond folks who I hear have been eyeing her for a role for a long time.) Guardians Of The Galaxy‘s Bautista is playing Mr Hinx and Sherlock‘s Scott is Denbigh. Interstellar cinematograther Hoyte Van Hoytema will shoot the film with Mendes. And that same film’s Lee Smith is joining as editor. Also rolling in is the Aston Martin DB10 which was designed especially for Spectre. Bond aficionados may recognize the title from the 007 canon. It’s an acronym for “Special Executive for Counter-intelligence, Terrorism, Revenge and Extortion.” A global crime organization, it’s previously been led by evil genius Ernst Stavro Blofeld in the Ian Fleming novels, who also appears in the filmsFrom Russia With Love, Thunderball,You Only Live Twice, On Her Majesty’s Secret Service, Diamonds Are Forever and For Your Eyes Only. There had been speculation that Waltz would play him in this 24th Bond movie, but his character name would seem to dispel that — unless it’s a ruse. Bond lore has it that Hannes Oberhauser was an Austrian climbing and skiing instructor who taught a young James while he was on breaks from Fettes College. They formed a strong father-son relationship, but Oberhauser mysteriously disappeared. Spectre hails from EON Productions, MGM, and Sony Pictures Entertainment with Mendes directing his second Bond film after global blockbuster Skyfall. Barbara Broccoli and Michael G Wilson are producers. John Logan, Neal Purvis and Robert Wade are writers. 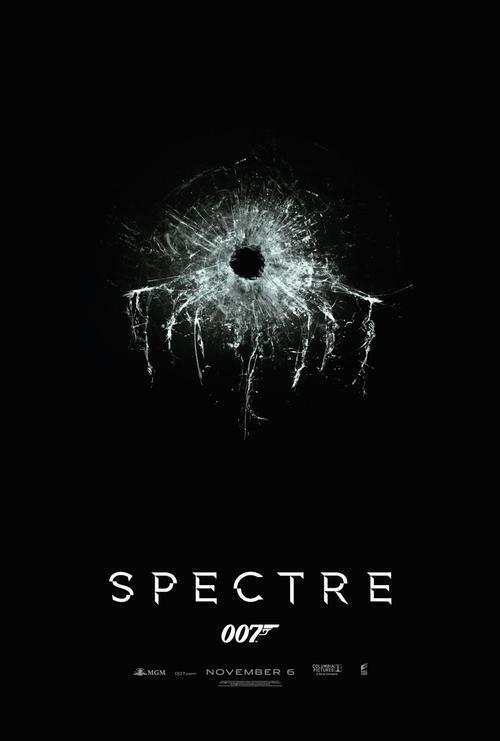 Spectre releases on November 6, 2015. Damn. That shade of white-ish of Bond’s outfit is way too bright. Took me a while to notice the skeletal face in the background. Everything seems to be trying too hard in this film. It was always going to be hard to match the songs of Mpk and hahk, this doesn’t even come close. In anticipation of “Spectre,” the latest James Bond film, the folks over at Feel Unique have created an infographic that illustrates some of the most iconic Bond Girls in the history of the franchise. Not a ringing endorsement but one can’t miss Bond no matter what! On that note didn’t care much for Skyfall either. But that film got strong reviews while this one is doing a rather poor 65% at rotten tomatoes. I watched Skyfall the day it released and liked it very much but also strangely never could come up to watch it again. Just would not get interested even if it was running on TV whereas watched Casino Royale and QoS many times on video and TV without getting bored. 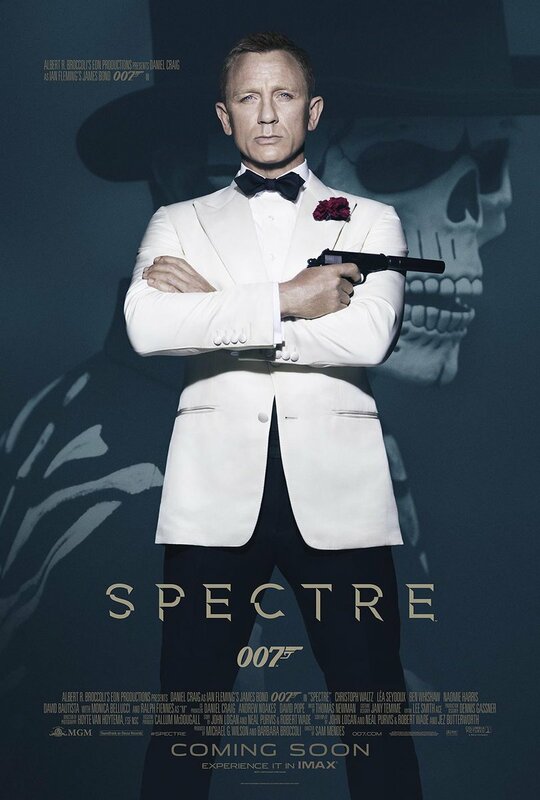 Also got tickets for Spectre for tomorrow! Back from Spectre.. didn’t like the movie. Its too slow and too long for a James Bond movie and very expected and nothing new. Action is pretty average and boring. Overall, this won’t do well at all IMO.